1:25 scale model resin 1972 Dodge truck running boards Squad 51 Emergency! 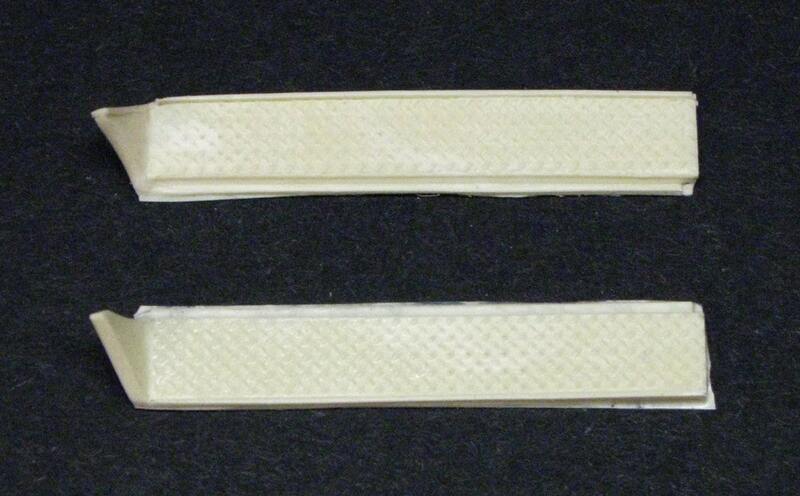 This is a pair of resin 1972 Dodge truck running boards for 1/25 scale model Dodge trucks. These running boards fit the AMT Dodge Li'l Red Express Truck model, and as used on Squad 51 on the TV show Emergency! (The Li'l Red Express kit is not included) They are in new unused condition. They have minor air bubbles and flash and require minimal clean up. They can be painted with enamel, acrylic, or laquer paints or finished with Bare Metal Foil. This is a scale model solid cast resin part for a scale model car. It is completely inert and nonfunctional. It is not a full size automobile part.